The Sandy Creek National Junior Honor Society Chapter welcomed 13 new members at a special induction ceremony held at the school on April 10. Sandy Creek Middle School Chapter of the National Junior Honor Society with current and newly inducted members are pictured with NJHS Advisor Sue Gafner. 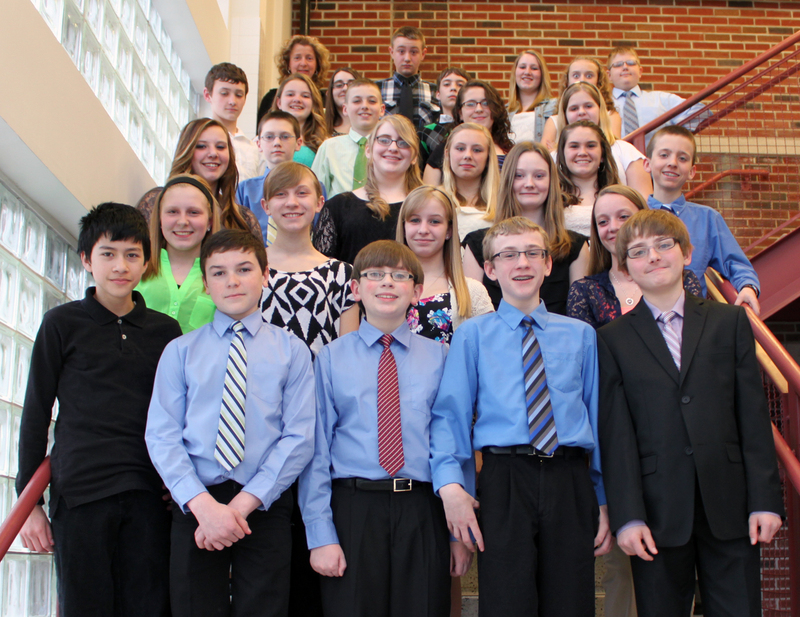 The new inductees include: eighth graders Bridgette Anderson, Alyssa Fiegl, and Lainey Smith; and seventh graders Faith Bachar, Joshua Balcom, Christopher Blount, David Hennigan, Emily Kehoe, Seth Lurcock, Oren McDougal, Carley Stoker, Machela Sullivan, and Sullivan Worns. The new members join current members: Breanna Allen, Dallas Blair, Stephanie Brown, Lindsey Goodnough, Matthew Guarasce, Elizabeth Hall, Alexis Ladd, Jessica Leppien, Chase Pappa, Alexander Paschall, Nicholas Radford, Connor Waggoner, Sophie Walter, Abigail Widrig, Jasmyn Williams, and Adam Yerden who were present at the ceremony to welcome the new members. Amell also praised the parents and guardians whose inspiration and support was instrumental in their child achieving this honorable distinction. NJHS Advisor Sue Gafner noted that NJHS distinction is not based solely on high academic achievement, but also includes high standards and participation in citizenship, leadership, service and character. Sandy Creek Middle School Principal Carolyn Shirley led the 13 new members in the NJHS Oath. Following the ceremony a reception was held in the High School Cafeteria for the audience and NJHS members.